Rooms from $95.00 per night. Description This Stockbridge, Georgia hotel has an indoor pool, free internet access and non-smoking guest rooms. 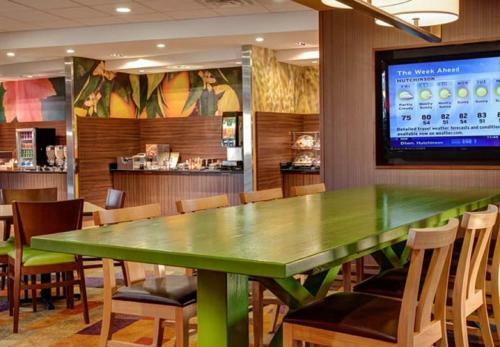 Free Wi-Fi and breakfast combine with a location just south of Atlanta at the non-smoking Fairfield Inn and Suites Atlanta Stockbridge. 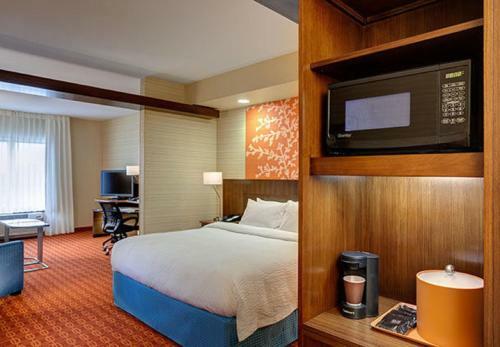 Guests at the four-floor non-smoking Fairfield Inn are treated to free Wi-Fi in all 92 rooms as well as flat-panel TVs microwaves mini-fridges and coffeemakers. 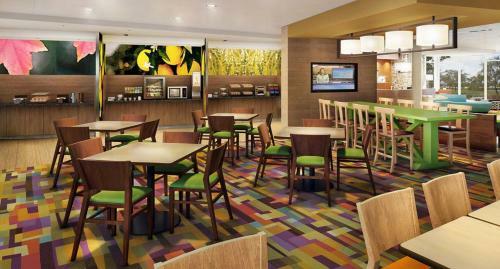 The hotel serves a complimentary breakfast buffet each morning. 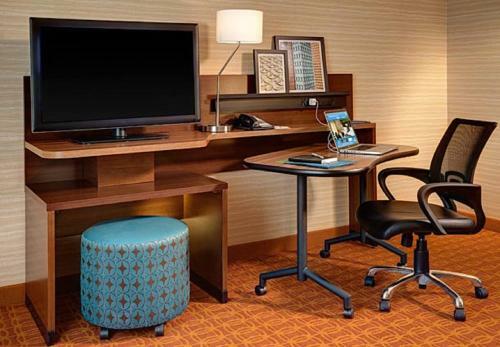 To stay on task there are business and fitness centers and kids can stay entertained in the indoor pool. Free parking and a small convenience market round out the amenities. 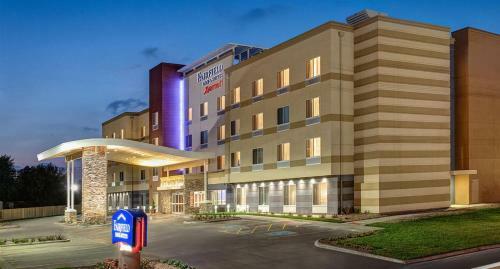 Just off the exit from I-75 the Fairfield Inn is 20 minutes south of Atlanta in the small town of Stockbridge. A few fast food eateries are within a mile and for more options guests drive 15 minutes to reach either the Henry Town Center or the Southlake Mall. Fans cheer on their favorites at Atlanta Motor Speedway or Mercedes-Benz Stadium each less than a half-hour away. Atlanta has activities for the whole family including the Georgia Aquarium High Museum of Art and Martin Luther King Jr. National Historic Site. Nature lovers hike the trails at Panola Mountain State Park a 20-minute drive or head 40 minutes north to explore Stone Mountain Park. 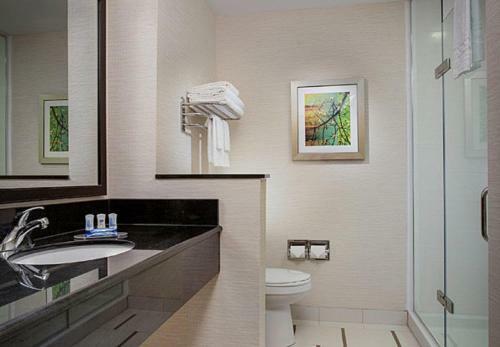 Hartsfield-Jackson Atlanta International Airport is within 13 miles of the hotel. 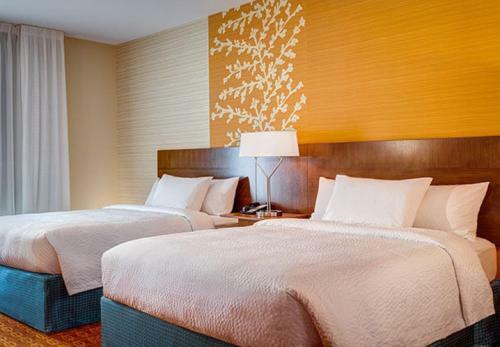 Add Fairfield Inn And Suites Atlanta Stockbridge to your free online travel itinerary.